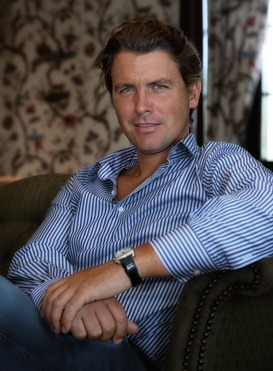 Namesake grandson of the Italian shoemaker whose family created a fashion dynasty, Salvatore Ferragamo the younger has guided the family business in a whole new direction. As president of the renowned Il Borro he has added wine-making and hotelier to his list of achievements, while maintaining a deep respect for the heritage handed down to him and a desire for excellence. A passionate polo player who set up the Florence polo club in 2001 Salvatore Ferragamo has just taken the reigns as Relais & Châteaux brand Ambassador for 2013. The family underpins all your activities. What have you inherited from your family? Clearly the idea is that strength lies in numbers. Our family is very tightly knit. My grandmother, Salvatore Ferragamo's widow, who turned 91 in December and continues to come to the office every day, has striven throughout her life to achieve this. However, even more importantly, she carries the heritage of my grandfather, the son of a family of simple farmers, and one of eleven children. He developed a real passion for the trade of shoemaking and this guided him throughout his life, taking him to the peak of his profession. His are the values that we want to hand down: the belief in listening to what your heart is telling you, and living your dream. Therein lies the road to success. Why did you choose vineyards and the hotel business rather than fashion? I was excited by the opportunity to do something totally new. I followed my grandfather's example in doing so, as he too started from nowhere. I restored Il Borro, a mediaeval hamlet that we had acquired in 1993, on our land in Tuscany, and restored it to all its glory. Since the hotel opened, I have watched the site recover its original beauty under my very eyes, seen the vineyards produce quality wines once more and hospitality return to be its heart... Witnessing this rebirth has been an extremely rewarding and satisfying experience. It's a very special estate. 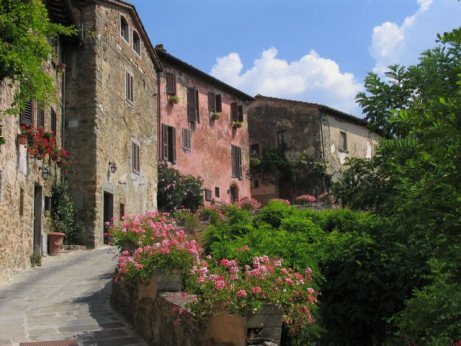 Imagine spending a holiday in a beautiful medieval hamlet perched on top of a hill. The only way to access it is a narrow and tall stone bridge. Tell us more about the wines you have developed? From the very beginning my father and I knew that we should produce wine at il Borro because of the fertility and variety of the soil. I'm Tuscan and like all Tuscans, I have wine in my soul. It is our first winery as a family, and my uncle Massimo has another beautiful winery in Montalcino, also in Tuscany in the province of Siena. Generally we try to keep the fashion side and wines quite separate. You will not find the name Ferragamo on the bottle of Il Borro... Our wines are treated with great respect and credibility to the final consumers." Tell us about your vision of art de vivre (the art of living)? I certainly do not champion impersonal packages and other international standards, but rather a hotel concept which has a distinctive identity, which offers its guests the opportunity to enjoy unique experiences and yet simple ones. An afternoon with your family, wife and children; sailing from island to island in a yacht on the rippling waves; some freshly picked tomatoes for lunch from the hotel's kitchen garden, with a trickle of olive oil produced in the surrounding area... These things are 'small luxuries' in today's world. Art de vivre must remain in tune with the spirit of the times. How do you manage to combine tradition and modernity, past and present...? Take the example of Il Borro. In the case of the wines, we re-designed our cellars and brought in state-of- the-art, high-performance equipment. We made sure we had the right equipment so that we could give full expression to and get the very best out of the terroir we had inherited from our ancestors. When it came to the building construction, the traditional features were taken down so that the roofing, wiring, etc. could be redone throughout, to offer every modern amenity. Today's progress helps the past, and vice versa. That is the key to our renewal. What does belonging to the Relais & Châteaux family mean to you? I first got to know the Association more than fifteen years ago. It was when I was travelling in North America, Asia and Italy, and I am still very fond of its properties, such as Mikuni Restaurant Hotel in Tokyo and Enoteca Pinchiorri in Florence. Joining Relais & Châteaux means in the case of Il Borro that our family spirit has a place on the world stage, as does our desire to offer a range of unique experiences and our love of a cuisine that reflects its terroir. These are values which belong to us as much as they do to R & C. These are the values that I shall defend as 2013 Relais & Châteaux ambassador. From November to January, I hunt pheasants, and from January to April, I go skiing, golfing, or biking. From April to October, I play Polo with a brief summer break in August.